Early records, going back to Shang dynasty (1000 BC), show that doctors of Chinese medicine held discussions of medical disorders and recorded illnesses and their treatments. 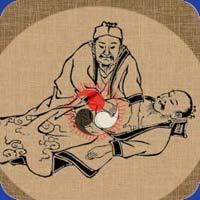 In the Han Dynasty (206 BC) the basics of Chinese medical theory were established including the concepts of relation between Yin and Yang, the channel theory, acupuncture needling methods, and sophisticated pharmacopeia. In the 6th century, practice of Chinese medicine and acupuncture was introduced to Korea and Japan and with time, they developed their own variations of Oriental medicine. In 1026 AD, during the Song Dynasty, a complete illustrated manual and Bronze Figure depicting all acupuncture and moxibustion points of the 14 channels was compiled. In the early 20th century, China began to see an explosion in population and practicing acupuncturists were in high demand. Therefore, the use of Western medical techniques became popular while the practice of Acupuncture faded from the mainstream forms of healing techniques. Acupuncture was banned in cities when Chang Khi Chek took power in 1932. Just 13 years later, when Mao Tse Tung closed the doors to China and Western society, including medical practice, Acupuncture was restored to its honored place in Chinese medicine.